2 Beds 2 Baths 1,298 Sq. ft.
Best Value Waterfront Home! Deep-water, private dock, that accommodates large boat and provides direct access to intracoastal and ocean. Harbour Point is a hidden gem located right off Riverside Drive, just minutes from everything! 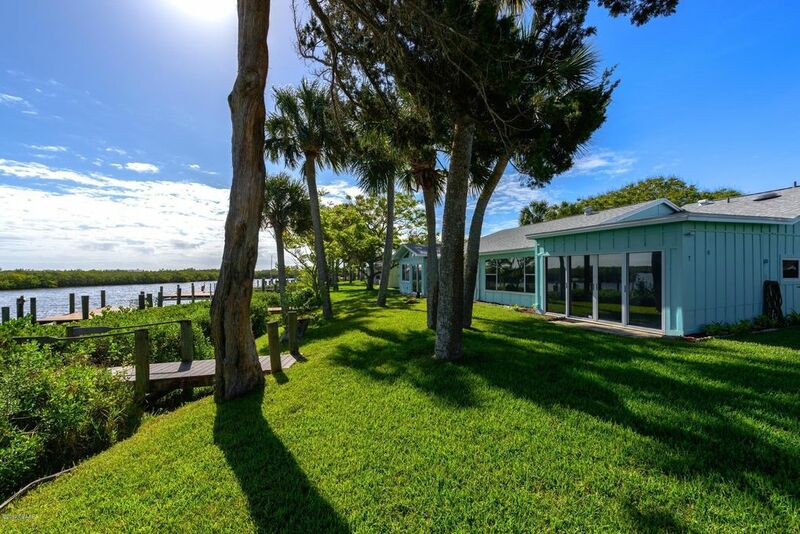 This community features a direct riverfront clubhouse with pool, community boat ramp and RV/boat storage yard. The home has recently seen a complete makeover, boasting a new kitchen with white shaker cabinets, granite counter tops and stainless appliances. Also updated are the spa-like bathrooms, hardwood floors, upgraded lights and fans. It has been painted both inside and out and roof replaced in 2017. HOA includes lawn maintenance & cable TV. This home will be sure to check all your boxes and won't last long!